With the season opening Thursday, it’s an appropriate time to update our NFL bookshelf with thoughts on Saints head coach Sean Payton’s book Home Team: Coaching the Saints and New Orleans back to Life. The book tells the tale not just of the Saints’ 2009 Super Bowl season but also of Payton’s journey from college player to NFL coach. 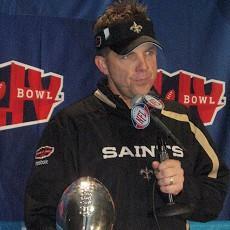 In fact, that journey may be more enlightening than Payton’s thoughts on building the Saints. Hearing Payton talk about moving his family and about failing in job interviews was a far more personal insight than I expected. While most reviews concentrated on Payton’s blunt retelling of his celebration methods, we found his motivational tactics more compelling. Hearing the story about why the team resigned Deuce McAllister during last year’s playoffs or why he decided on a game-turning onside kick to open the second half during the Super Bowl. Coaches looking for ideas on inspiring their teams can learn from Payton’s tactics and his overall mindset. Most coaching books are filled with cliches instead of insight, but Payton avoided that trap more than most. It’s not great literature, but Home Team is an interesting and quick read, and it’s worth having on your bookshelf, especially if you’re a Saints fan. As part of our coverage of Super Bowl 44, we thought we’d spend some time analyzing the most prevalent storylines we’ll hear about during the Super Bowl hype. These storylines are compared not on their validity or even their relevance but simply on how often we’ll hear them, with the 10 level being the most often repeated storylines and the 1 level being storylines we won’t hear (but perhaps should). The blurb about each storyline will analyze what impact (if any) the storyline will have on the actual game. And a note – for more info on the game and thoughts that creep into our heads, check out our Twitter feed on the right of this page or by following. We’ll try to have fun there. 10 – Recovery of New Orleans – This is the biggest storyline that we’ll hear about when it comes to the Saints this week. We’ll hear about Hurricane Katrina, the ninth ward, the recovery of perhaps the most unique American city, and how Drew Brees’ decision to live there is a spark. This a great story, no doubt, and the fact that the Saints are playing for something a little bigger than themselves does matter on the field, at least a little. But this won’t be the deciding factor on the field come game day. 9 – Dwight Freeney’s health – This story got a lot bigger over the weekend when ESPN reported that Freeney has a torn ligament in his ankle that could sideline him for the Super Bowl. We guess that Freeney will play, but of all the pregame stories this is the one with the potential to have the greatest on-field impact. 7 – Who’s Archie cheering for? – The storyline that New Orleans will focus on when it’s not on a sociological kick is the allegiance of the all-time greatest Saint, Archie Manning. Of course, Archie’s son Peyton is going for his second Super Bowl ring. Archie has already decided that he’s with Peyton all the way, but that doesn’t mean that Archie, Peyton, and everyone else won’t have to talk about this throughout the media day festivities. Then we’ll all forget about it and actually watch the game, hoping that CBS doesn’t shove shots of Archie down our throats (like they shoved shots of the President down our throats during Saturday’s Duke/Georgetown hoops game). 6 – Peyton Manning as the GOAT – Now that he’s won a record four MVP awards, Peyton can put himself in the discussion as the Greatest of All Time, or GOAT as so many have called it. With a second Super Bowl ring, Peyton can enter the discussion with John Elway and Joe Montana, whom we would rate as the top two quarterbacks since 1980. But the talking heads who must fill airtime on First Take will Skip perspective (pun intended) and go ahead and declare Peyton the best of all time. Peyton cares about his legacy, and it drives him, but his concern during the game will be a second title, not a made-up acronym. 4 – Pierre Garcon and Haiti – Garcon, a Haitian native, has risen to the occasion in the past few weeks to ask for help for his homeland, and we expect him to do the same during some of the early-week media festivities. This isn’t game-related, but we hope that Garcon can call for and inspire more help for a land that still needs it. (And if you want to find something you can do to help, here’s one way.) Will it make Garcon play more inspired football? Perhaps, but even if it doesn’t, Garcon has a chance to do a lot of good here. 3 – Tim Tebow’s ad – Probably the biggest storyline in the NFL that has nothing to do with either the Colts or Saints is the debate over Tim Tebow appearing in a pro-life ad to be aired during the Super Bowl. Obviously, this has nothing to do with the game, but it incites discussion because it hits on such a hot-button issue. So there is sound and fury here, but it obviously signifies nothing about the game. 2 – Darren Sharper’s impact – Sharper will be a Media Day darling, because his Pro Bowl season in his first New Orleans campaign looks to be the biggest difference between the Saints defense from last year to this one. Sharper may get a hair too much credit – he has a high profile from his time in Green Bay and Minnesota, and his constant friendliness to the media gets returned with praise – but he has been a huge addition for the Saints. His veteran wiles have rubbed off on his secondary teammates, and his own play has been quite good. So in the end, we’re good with whatever pub Sharper gets during the week, because his impact on the field on Sunday figurees to be substantial as well. 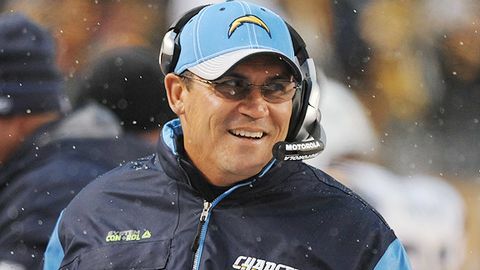 1- Sean Payton’s 250K gamble – Coming off of last year’s 8-8 season, Payton, the Saints head coach, sought to improve his defense, and to do so he wanted to hire high-profile coordinator Gregg Williams, who was leaving Jacksonville. But he was afraid that someone else would swoop in and lure Williams away, and so Payton volunteered to give up a quarter of a million dollars of his own salary to enhance the package the Saints could offer Williams. This story hasn’t gotten a ton of airplay, but Williams’ attacking defense – and its propensity to cause turnovers – is a huge reason the Saints are in the game. And we believe that if the Saints are to win on Super Sunday, Williams’ D will have to force at least two turnovers. So this storyline is underplayed, because it has a huge effect on the outcome of the game.